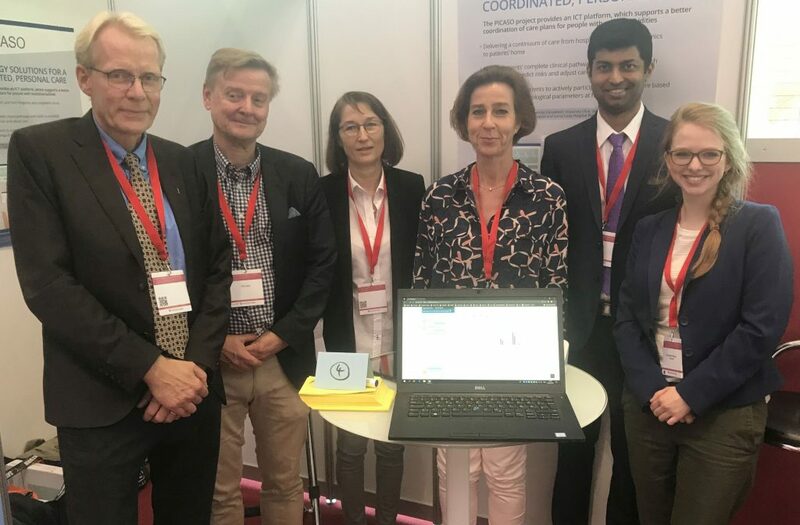 The PICASO platform stood the test at the German Society for Rheumatology 46th Congress 2018 which took place from 19th to 22nd September. Both the clinician dashboard and the patient dashboard were presented successfully at the exhibition, yielding acknowledgement especially by rheumatologists who considered the solutions to be good and valuable for improving integrated care of their patients. Apart from interesting suggestions for new features and improvements, physicians also raised a few issues which need to be considered for the exploitability of the solutions. Over time, there will be a lot of patient information available which the physician has to review since he or she is responsible for treatment, e.g., ensuring that a prescription written by a colleague is not harmful for the patient. This can be time consuming and time is already a problem. As a result of this issue, IT-platforms like PICASO need to provide features that can serve as valuable clinical decision support to minimise the effort of having to click through a lot of patient information. This means that only relevant information is presented or highlighted, e.g., a recent surgery or a change in medication related to the physician’s speciality.